Dandeli, an eco-tourism spot in Karnataka offers world class white water rafting facilities which are sure to satisfy your thirst for some thrill. Situated at just 125 Km from Goa by road, this sport is conducted on the banks of the turbulent Kali River. The place has rich flora and fauna. Its protected status ensures that the natural habitat is not harmed by human interventions. The region experiences abundant rainfall which keeps the river flow heavy and adds on to your thrill-filled rafting experience. White water Rafting in Dandeli is surely an experience that is worth a try in eternal lifetime. When you are here to try out this sport; the adventure enthusiastic guide will allow you do this needful thing accurately. You can choose from multiple organizers offering rafting facility in this area. The tour organisers will give you an option of going for a 9-km 4-hour run or a 4-km 2-hour run. Your activity will begin with being transported upstream through the jungle in a jeep followed by familiarising the group with the white water rafting in Dandeli. The basic safety instructions include wearing a lifejacket and a helmet at all times and avoiding loose clothing and footwear along with strictly following the guide’s instructions at all times. Once all the instructions have been made clear, guests are seated in an inflatable raft which is then launched in the turbulent rapids. Sit tight as from here on your adrenaline rush begins toward an unmatched experience! 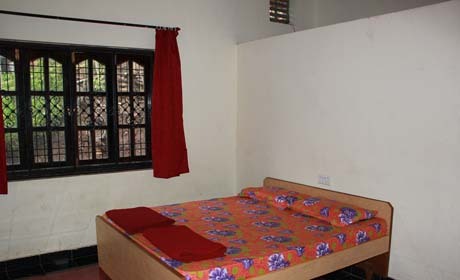 Dandeli offers numerous accommodation options for tours which are comfortable and well-kempt. Dandeli is not just limited to its white water rafting experience but also offers other adventure activities such as wildlife trekking, rappelling, kayaking, angling and excursions. 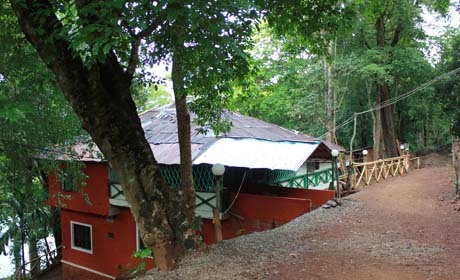 Dandeli is one of the most spectacular place which has prosperous and numerous sights and beauties of nature. It is located over the river Kali and has evergreen forest, stunning sights, flora and fauna and one of the best is white water rafting. 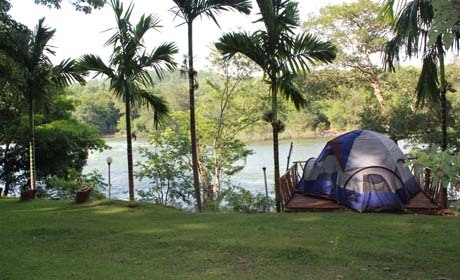 Dandeli river rafting is one of the most exciting and exhilarating thing you can do. There are two rapids in white water rafting in dandeli grade 2 and grade 3 in river rafting one for professionals and other for inexperienced rafters. Grade 2 rapids are easy with little bumps and easy passages and the Grade 3 rapids expert supervision for passing ways. Though, there are skilled instructors the activity is safe for professionals as well as inexperienced people and is very safe. White water river rafting in Dandelitakes around 4 hours to complete. 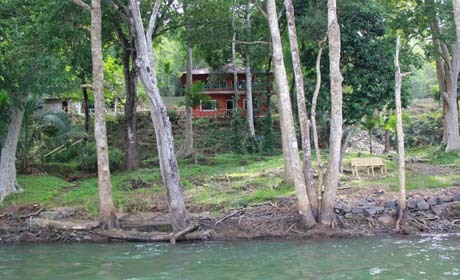 The river rafting dandeli adventure starts at around 9:00 am and goes on board for 45 minute to Ganeshgudi which is a starting point. You will be provided safety equipment, life jackets, helmets and pedals for the activity.